Filipino fighter Jetro Pabustan faces the WBO World bantamweight champion Pungluang Sor Singyu of Thailand on February 12, 2016 in Loei, Thailand. The Filipino fighter has a good record of 26 wins including 7 victories by way of KO. The 26 years old Filipino is from Malapatan, Sarangani, Philippines. This will be his first time to fight for a World Title. Pabustan is not a KO puncher but he is smart and knows how to control the fight. Pabustan won his last fight against Vergilio Silvano also from the Philippines via UD. Sor Singyu of Thailand is very top opponent for the Filipino fighter. Sor Singyu has an impressive record consisting of 51 wins including 35 victories coming by way of KO. 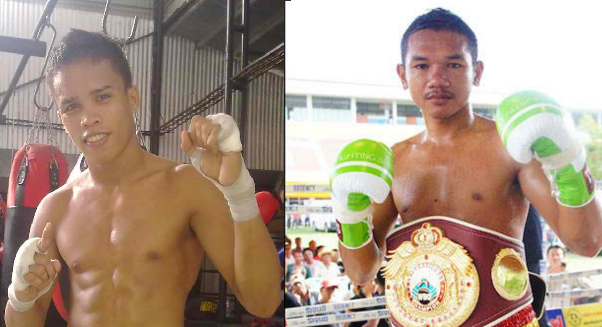 Pungluang Sor Singyu is a 27 years old fighter from Uthai Thani, Thailand. He defeated many Filipino boxers like Elmar Francisco, AJ Banal and Rey Megrino. In his last fight he won the vacant WBO World bantamweight title against Ryo Akaho of Japan. Prediction: Sor Singyu has the big chance to win this fight. A KO fighter vs a technical fighter. Sor Singyu could win via both KO or Decision. The Thailand fighter is real world champion with a complete ability to finish his opponent.